Here is the poster from the upcoming film TEEN SPIRIT . The film is directed by Max Minghella, starring Elle Fanning, Rebecca Hall, Zlatko Buric, Agnieszka Grochowska. Here is the New York Comic Con trailer from the upcoming film “PROFESSOR MARSTON & THE WONDER WOMEN.” The film is directed by Angela Robinson, starring Luke Evans, Rebecca Hall, Bella Heathcote, Connie Britton. PROFESSOR MARSTON & THE WONDER WOMEN hits theaters on October 13, 2017! Here is the trailer from the upcoming film “GEOSTORM.” The film is directed by Angela Robinson, starring Luke Evans, Rebecca Hall, Bella Heathcote, Connie Britton. PROFESSOR MARSTON & THE WONDER WOMEN hits theaters everywhere October 27, 2017! In a superhero origin tale unlike any other, the film is the incredible true story of what inspired Harvard psychologist Dr. William Moulton Marston to create the iconic Wonder Woman character in the 1940’s. While Marston’s feminist superhero was criticized by censors for her ‘sexual perversity’, he was keeping a secret that could have destroyed him. Marston’s muses for the Wonder Woman character were his wife Elizabeth Marston and their lover Olive Byrne, two empowered women who defied convention: working with Marston on human behavior research — while building a hidden life with him that rivaled the greatest of superhero disguises. 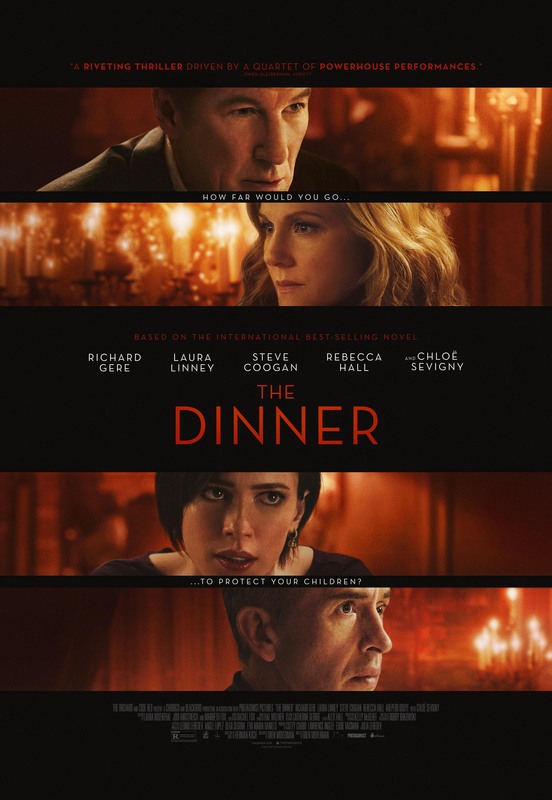 Here is the trailer from the upcoming film “THE DINNER.” The film is directed by Oren Moverman, starring Richard Gere, Laura Linney, Steve Coogan, Rebecca Hall and Chloë Sevigny. The new film by Academy Award® nominated director Joseph Cedar (FOOTNOTE) is a comic and compassionate drama of a little man whose downfall is rooted in a human frailty all too easy to forgive: a need to matter. Based on Herman Koch’s international bestselling novel, Oren Moverman’s THE DINNER is a dark psychological thriller about a fierce showdown between two couples during the course of an ornately prepared meal at a fancy restaurant. 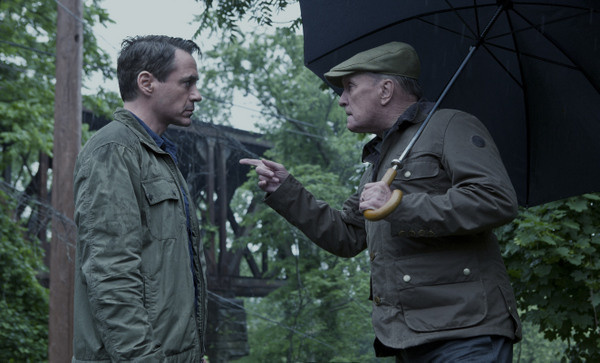 When Stan Lohman (Richard Gere), a popular congressman running for governor, invites his troubled younger brother Paul (Steve Coogan) and his wife Claire (Laura Linney) to join him and his wife Katelyn (Rebecca Hall) for dinner at one of the town’s most fashionable restaurants, the stage is set for a tense night. While Stan and Paul have been estranged since childhood, their 16-year- old sons are friends, and the two of them have committed a horrible crime that has shocked the country. While their sons’ identities have not yet been discovered and may never be, their parents must now decide what action to take. As the night proceeds, beliefs about the true natures of the four people at the table are upended, relationships shatter, and each person reveals just how far they are willing to go to protect those they love. A riveting story filled with many shocking twists and turns, THE DINNER is a chilling parable about the savage reality hidden beneath the surface of middle class lives. Here is the trailer for the upcoming film THE GIFT. 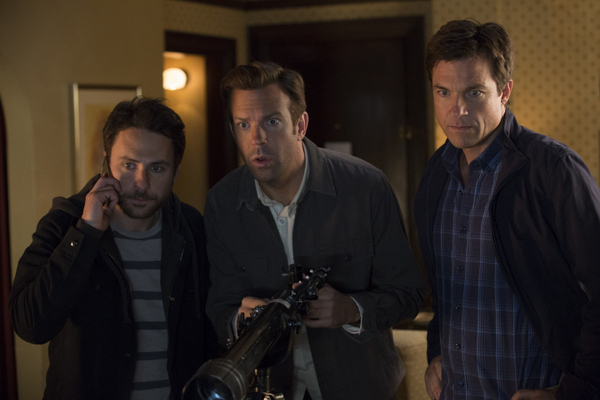 The movie is directed by Joel Edgerton, starring Jason Bateman, Rebecca Hall, Joel Edgerton. Here is the “What is a Transcendence” featurette for the upcoming film TRANSCENDENCE. The movie is directed by Wally Pfister, starring Johnny Depp Paul Bettany, Rebecca Hall, Kate Mara, Cillian Murphy, Clifton Collins, Jr., Morgan Freeman. TRANSCENDENCE will be in theaters everywhere April 18, 2014. Their worst fears are realized as Will’s thirst for knowledge evolves into a seemingly omnipresent quest for power, to what end is unknown. The only thing that is becoming terrifyinglyclear is there may be no way to stop him. Here is the second trailer for the upcoming film TRANSCENDENCE. The movie is directed by Wally Pfister, starring Johnny Depp Paul Bettany, Rebecca Hall, Kate Mara, Cillian Murphy, Clifton Collins, Jr., Morgan Freeman. Here is another clip from Walt Disney Pictures’ upcoming film, IRON MAN 3. The movie is directed by Shane Black, starring Robert Downey Jr., Gwyneth Paltrow, Don Cheadle, Guy Pearce, Rebecca Hall, Stephanie Szostak, James Badge Dale with Jon Favreau and Ben Kingsley. IRON MAN 3 will be in theaters everywhere May 3, 2013. Here is the film clip from Walt Disney Pictures’ upcoming film, IRON MAN 3. The movie is directed by Shane Black, starring Robert Downey Jr., Gwyneth Paltrow, Don Cheadle, Guy Pearce, Rebecca Hall, Stephanie Szostak, James Badge Dale with Jon Favreau and Ben Kingsley.